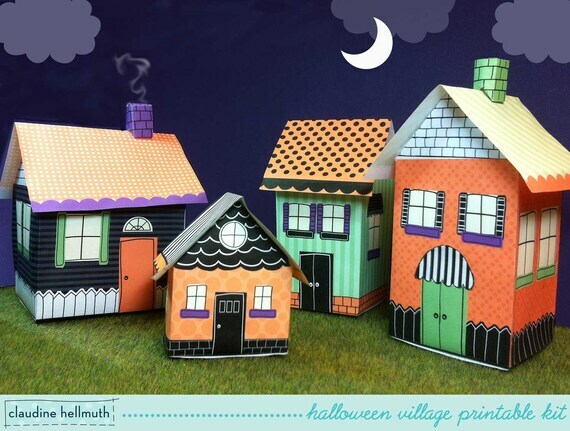 Easy to make whimsical Halloween House Village Printable Kit. Houses can be used as candy party favor boxes, gift card boxes, paper toys, battery operated tea light luminaries, or just as fun Halloween centerpiece decorations for your home! Imagine a whole village on your mantel or entry table! I've illustrated them completely 3D so you can set them in the middle of your dining table and all your guests will have a cute view! The first video will also show you how to turn the houses into battery operated tea light luminaries!